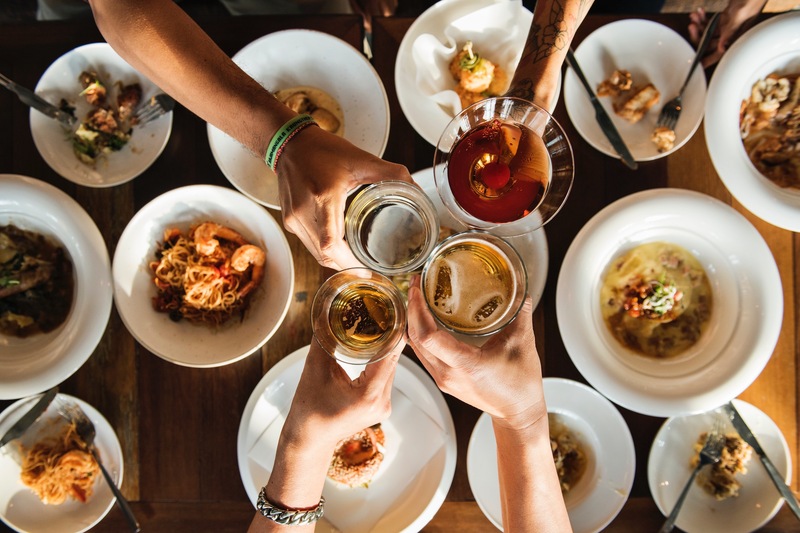 Hannah Deakin tried all the food she could while travelling around Europe and gives E&M readers her top 10 local delicacies. Now I don’t know about you, but one of the things that motivates me most to travel a foreign and unfamiliar country, is the opportunity to try all of their finest local delicacies. 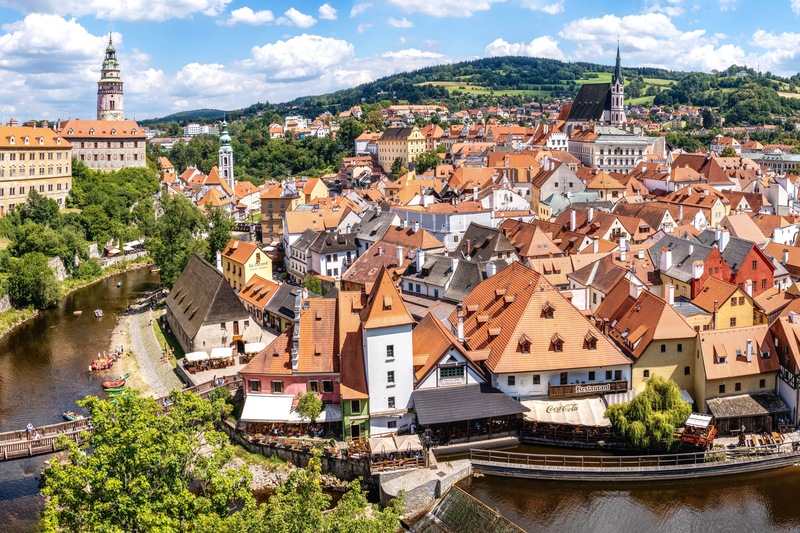 Eager to get our hands on the tastiest food on offer in our neighbouring countries, my sister and I set out on a six-week whistle stop tour of central Europe. Needless to say, what we discovered was simply mouthwatering. So mouthwatering, in fact, that I felt it only right to share with you our pick of the best European must-try delicacies on offer… beginning in Bruges, Belgium. Bruges – a hop, skip, and a jump over the English Channel, and less than a mere few hours away from London – is an idyllic Belgian town not far from the capital, Brussels. Known most notably for its waffles, beer, and chocolate… what’s not to like? I suggest you head to De Garre if 11% beer excites you – served with a helping of cheese to nibble on. Bruges is brimming with the best chocolatiers in the business… take this little gem for instance, Van Oost . 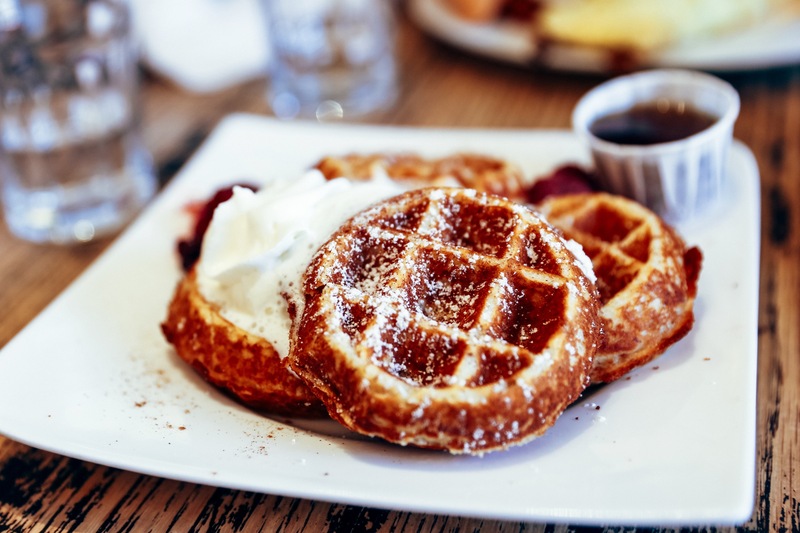 For the world’s best waffles you’re in for a treat at Chez Albert where you can feast to your heart’s content on the sweetest waffles in all of Bruges. Lesser known delights include ‘Stoverij’, a Flemish stew cooked in beer; and ‘Mosselen-friet’, mussels and fries, found at Poules Moules . My personal favourite was the timeless classic, Belgian steak tartare – raw beef mixed with onions, mayonnaise, Tabasco, egg yolk, capers – and served with fries. If raw beef isn’t your thing, then try buttery Flemish asparagus with croquette and fries (when it’s in season). 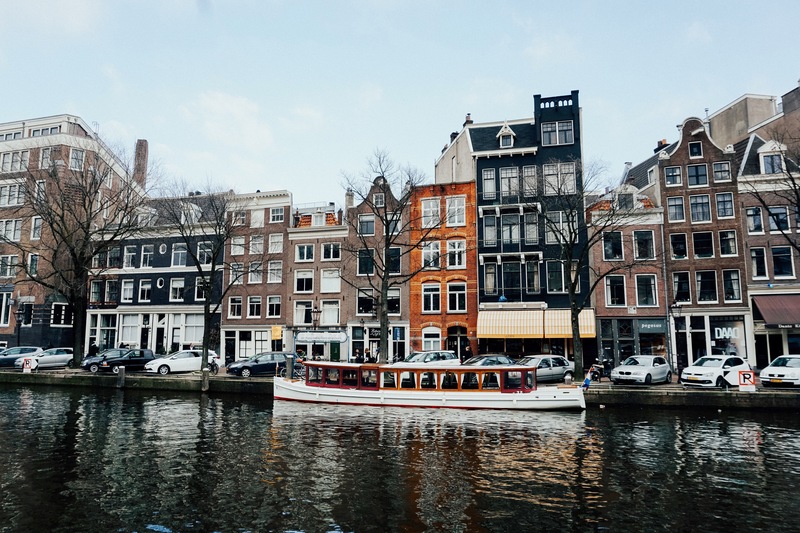 Next stop, Amsterdam – home of the world’s most beautiful canals, narrow streets and gabled facades. Not only that, but Amsterdam is the home of all things sweet, with (yes, you heard it) yet more waffles, and pancakes galore!! Typically, the Dutch locals like to eat ‘Stroopwafel’, consisting of two yummy waffles crammed with a big helping of hot syrup. Another favourite is ‘Poffertjes’, which are cute fluffy pancakes served with powdered sugar and butter. For a whole array of pancake choices, head to Upstairs Pannekoekenhuis. Now, after all that sweet food – you’ll be craving something savoury. Why not try some ‘Bitterballen’ – a deep fried crispy meatball snack, typically served with mustard. If you’re feeling extra hungry, you could even go for a ‘Kroketten’ – a larger version of bitterballen available in cool little vending machines around the city! Berlin is the city that I remember most fondly, not only for its nightlife and buzzing atmosphere, but also for the German creation that is ‘Currywurst’! 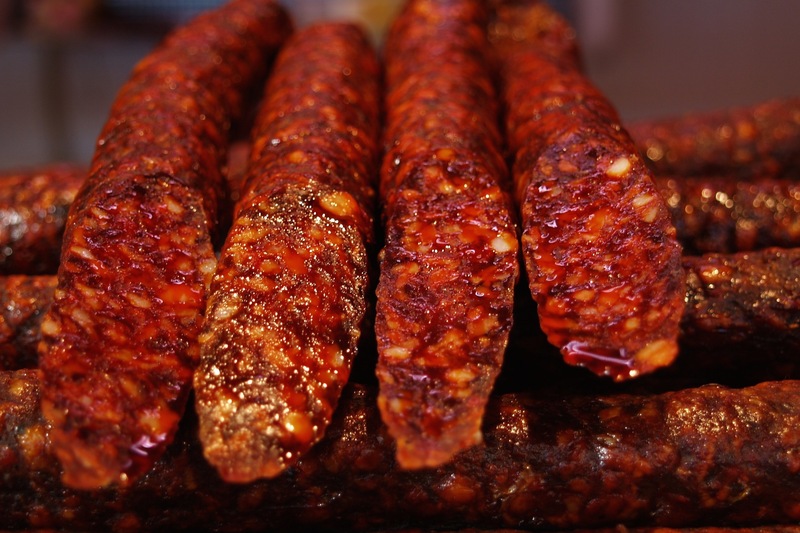 Pork sausage or ‘Bratwurst’ as the Germans call it, is typically served sliced with a big helping of curry ketchup. For a pre-Berghain snack, why not grab a local beer and take your currywurst on a stroll down the spree? It’s a match made in heaven!! Now, you’d be forgiven for thinking that Berlin doesn’t have a sweet tooth, but you’d be wrong because baked goods are actually very high on their agenda! From breads, to pretzels, doughnuts to pastries – they’ve got it all. ‘Berliner Pfannkuche’ (a yummy jam-filled doughnut) and ‘Quarkbällchen’ (fluffy quark doughnut balls) are two of my favourites! Prague, the capital of Czech Republic, is a colourful city – known by many for it’s elegant baroque buildings and ornate Gothic churches. 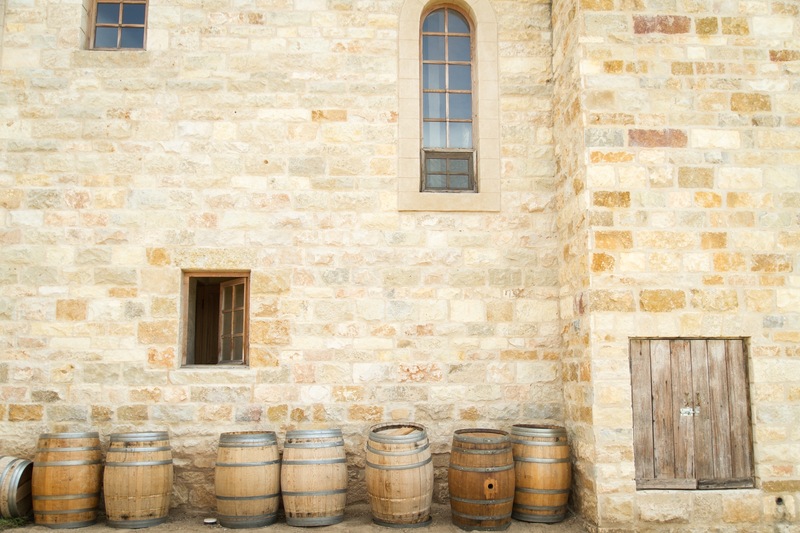 But behind it’s grand fa ç ades and towering walls, a simple kind of beauty exists, in the timeless dishes and tasteful beers that have come to symbolise Czech culture. Unlike French or Italian food, I didn’t know what to expect from Czech cuisine… but I was amazed by the spectrum of flavours on offer. ‘Svíčková’ for instance, a braised beef dish served with whipped cream, cranberry sauce, and bread dumplings – what a combination! Anyone familiar with the episode of Friends where Rachel cooks a ‘Shepherd’s Pie-Trifle’? Well the Czechs’ could teach her a thing or two! I can’t believe I’m going to say this, but whipped cream and beef… it’s a match made in heaven. ‘Zabijačka’ (pig roast to you and I) is a favourite of mine when visiting Prague. This dish is usually served in Czech towns and villages as part of the Mardi Gras celebrations, and the flavour of the meat can vary from one cut to another. 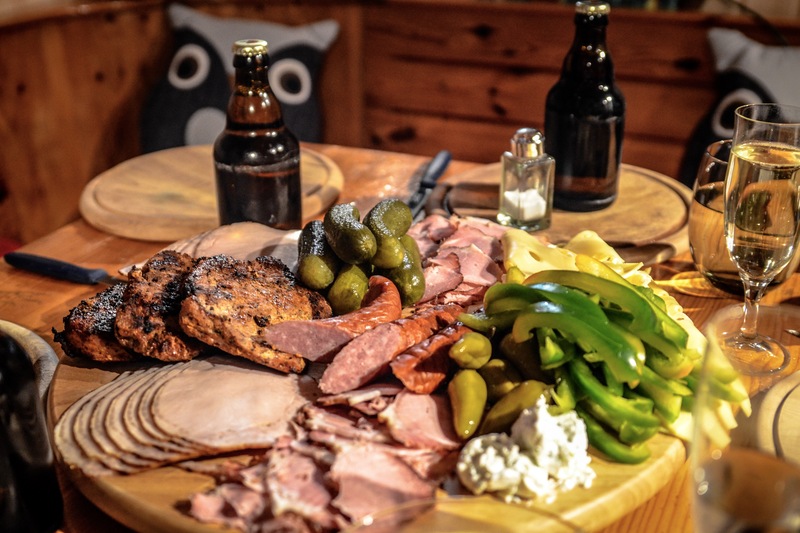 Locals suggest checking out Naše Maso for the best local aged and smoked meats. FYI, it tastes great alongside some Olomouc cheese (the only cheese that originates in Czech Republic)! Next stop, Krak ó w. My sister and I arrived in Krakow in the early morning, with just a few hours to spare before our onward journey to Oświęcim. For the first of our five meals of the day (the Poles do it differently than most of us) we enjoyed ‘Oscypek’ – a smoked sheep cheese – served with meats and pickles on an open sandwich. I would highly recommend you visit one of the many local markets to try this one – it always tastes better fresh!! Plac Imbramowski is a great choice if you want the authentic farmers market experience!! For a lunchtime snack, we tried ‘Smalec’ and ‘Skwarki’ (salty pork lard with crunchy bacon bits) on a thick chunk of gherkin-topped bread – the perfect accompaniment to an ice-cold Zywiec lager. No complaints there! In the evening we tucked in to a traditional ‘ Rosół’ (chicken soup), followed by ‘Bigos’ (a hearty sauerkraut-like stew) made from fresh and pickled cabbage, leftover meat parts and sausage. Alternatively rich and tasty ‘Pierogi’ (stuffed dumplings) will go down well, followed by ‘Sernik’ (a dreamy cheesecake), with icing sugar and raisins – Kraków-style. From Poland we crossed the border into Hungary, where we made a stop at the capital city of Budapest. Owing its name to either side of the river which flows through its heart, the staple cuisine of Budapest includes ‘Halászlé’, a spicy paprika-based river fish soup. Another sure staple of Hungarian home-cooking is ‘Paprikás Csirke’ (a spicy, sour-cream chicken dish), although if it’s comfort food you’re looking for, be sure to try ‘ Rakott Krumpli’, a baked potato gratin layered with ‘Csabai’ (a type of Hungarian sausage). And, you guessed it, paprika is a key ingredient in this one too! Stepping away from the paprika pot… oh, wait, I’m sorry there’s paprika in this one as well… we have ‘ Gulyás’, a traditional Hungarian soup or meat stew, said to originate from 9th Century shepherds. Head to Fülemüle Étterem for the best ‘Vadas Marha Zsemlegombóccal’ in town (roast beef with creamy piquant sauce and dumpling)! 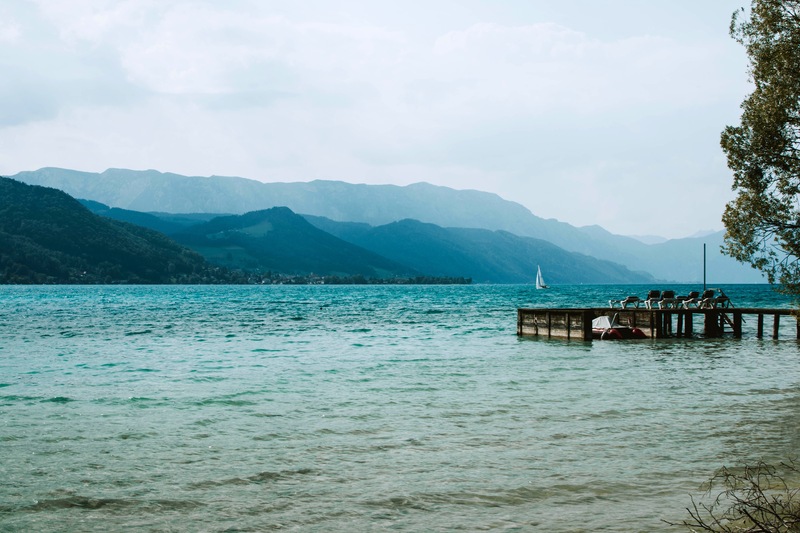 Nestled in the midst of Bled, a town in the foothills of the Julian Alps, is a picture-perfect lake overlooking the lush scenery of the Slovenian countryside. What better place to sit and snack on a ‘ Kremna rezina’ cream cake… but be sure you’ve saved enough room after indulging in a traditional Sunday roast. 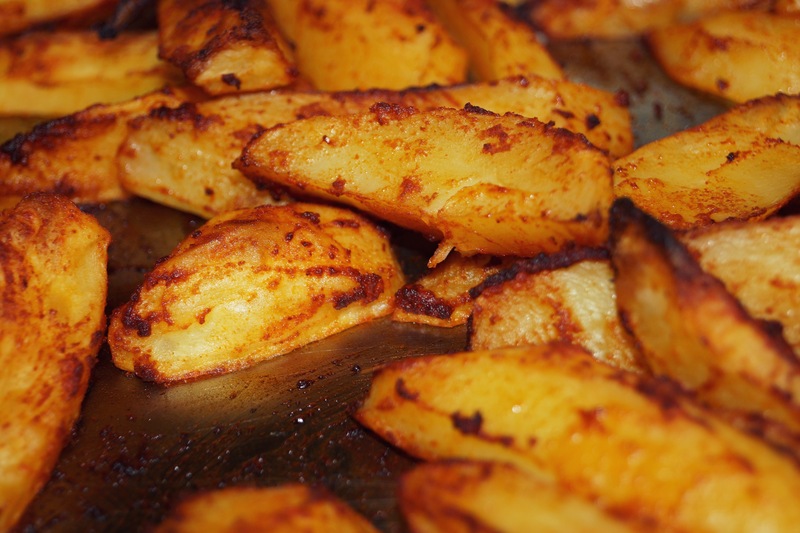 The Slovenians love a good roast… the potatoes in particular are a favourite of theirs! For something more hearty, try ‘Jota’ (sauerkraut and bean stew), or perhaps ‘Ričet’ might take your fancy (a thick pork and vegetable soup). ‘ Ž ganci’ (a potato and buckwheat flour dish) is popular with Slovenians residing in mountainous pastures, and is served with meat as part of a wholesome evening meal. For a late-night after drinking snack, why not try ‘Burek’ or ‘Kebab’ (filled-pastry and doner meat), from Balkan influence. You could even try ‘Frika’ (an omelette with potatoes and cheese). Either way, you’re guaranteed satisfaction! Moving on from Bled we made our way to Salzburg – home of Mozart, The Sound Of Music, and glorious rolling countryside. Our first port of call? Well we had to try out one of Salzburg’s signature sweets, the ‘ Mozartkugeln ’, a marzipan and pistachio truffle wrapped delicately with layers of rich dark chocolate and nougat! After strolling around the pretty cobbled streets and taking in the beautiful baroque architecture, we headed for a delicious dinner of ‘Wiener-Schnitzel’ (pan-fried veal). Infamous around the world, the tender yet crispy creation is often served with a lemon wedge and a generous helping of parsley potatoes. Cooked perfectly – it’s nothing short of incredible. We finished our meal off with an hearty portion of ‘ Wiener Apfelstrudel ’, a traditional Austrian apple pastry dessert. The Von Trapp family would be proud. Now everyone knows that Switzerland is famous for its chocolate. 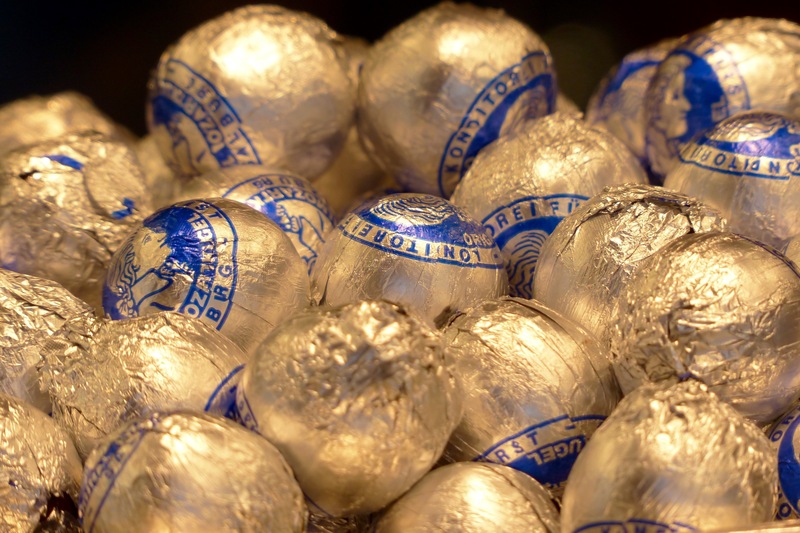 Lindt, Toblerone, Läderach… you name it and it probably originates from Switzerland. 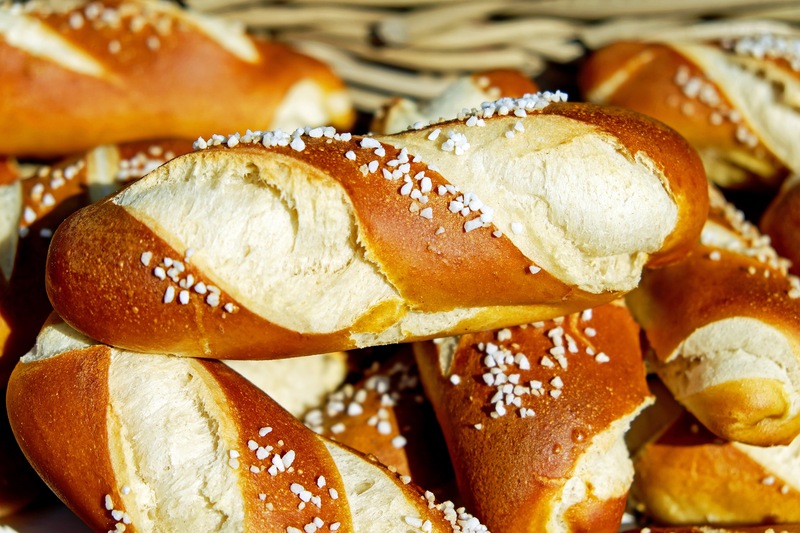 But if you’re feeling more adventurous why not try ‘S choggibrötli ’, a chocolate chip filled bread roll best eaten fresh from any of Lucerne’s reputable bakeries. Whilst you’re at it take a bite of some traditional pear bread, enjoyed like the locals whilst sat overlooking Lucerne lake. If you want to start your day right, do as the Romans do – excuse the pun – and fill up on ‘Torta di Riso’, a sweet breakfast rice cake. But don’t fill up too much, as lunch is just around the corner! 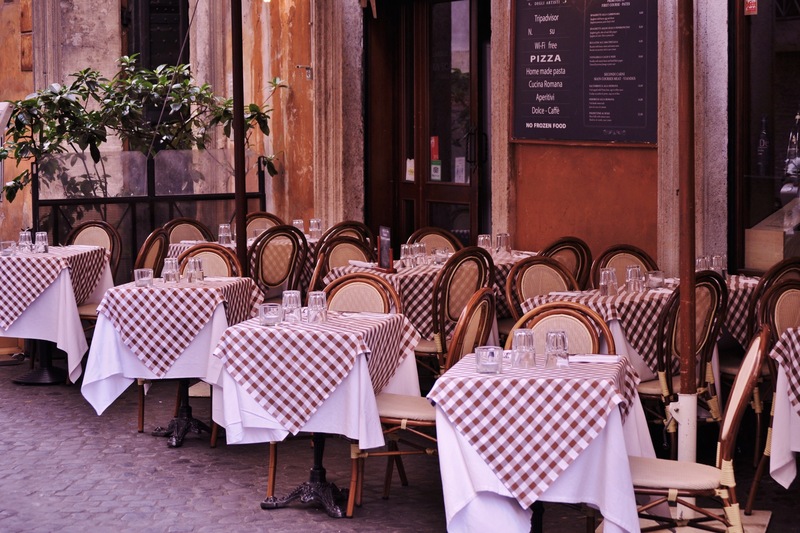 Spaghetti Bolognese may be the first thing that pops into mind when thinking of Italian food, but why not try one of the locals’ favourites instead? The rich tomato sauce you find in Bolognese can also be combined with layers of fresh green pasta, minced meat, and creamy bechamel sauce to make a banging ‘Lasagne Bolognese’! (The locals are also quite partial to ‘Tagliatelle al Ragù’ – fresh egg pasta lathered in a rich meaty sauce, too). Finally, a trip to Italy would not be complete without trying some delicious gelato!! A guilty pleasure for some, and a delight for all! I suggest you mix it up by trying mascarpone flavour.